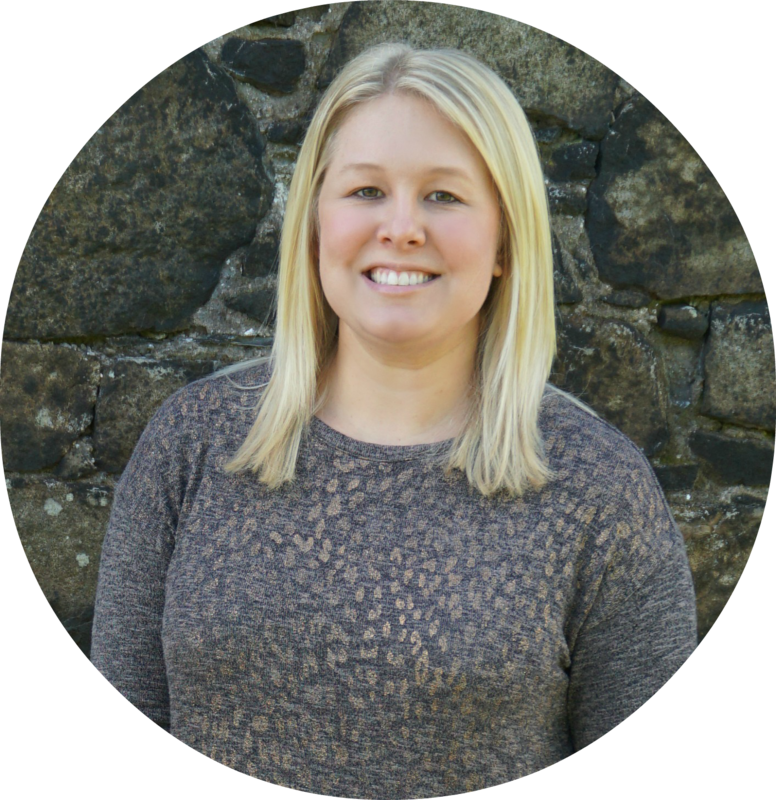 If you’ve been following my blog for awhile, you know that I love to travel. Two years ago my parents and I went to New Orleans, last year my mom and I spent two weeks in London and Paris, and in July my boyfriend and I are going to Alaska (I can’t wait!). 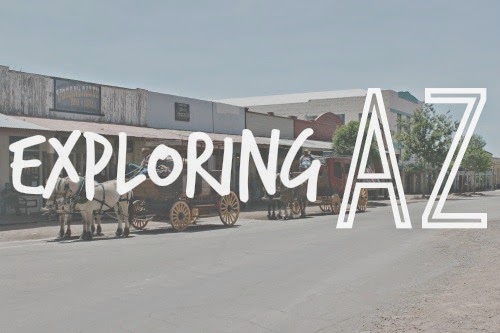 I would love to travel more, but I only get two weeks of vacation from work a year plus I’m not made of money...which brings me to my new series: Exploring AZ! Sometimes I forget that I don’t need to take a full week off of work or spend thousands of dollars to travel. There are so many great places in Arizona that I’ve never seen and I want to start enjoying more of what the state has to offer. 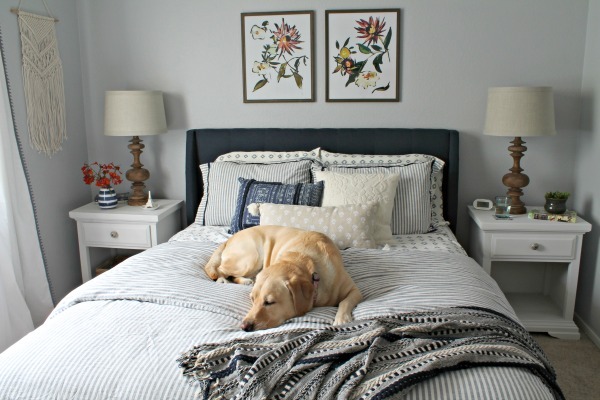 Today’s post is more of a weekend getaway, but I also want to include day trips and attractions around the Phoenix area. Hopefully you’ll enjoy seeing more of my home state. Or for those of you who live in AZ (or plan to visit), maybe it’ll give you some ideas. OK, so I’m kicking off the series with a trip to Tombstone! I’m sure you all know about Wyatt Earp and the Gunfight at O.K. Corral…or you’ve at least seen one of the many movies based on the events (Gunfight at the O.K. Corral/Tombstone/Wyatt Earp). Actually, I’m pretty sure I only got my boyfriend to go with me because Wyatt Earp is one of his favorite movies…although he prefers Val Kilmer as Doc Holliday (Tombstone). Anyway, Tombstone is about three hours southeast of us, so we decided to make a weekend of it. We headed down to Tucson Friday night after work (it’s about a two-hour drive). 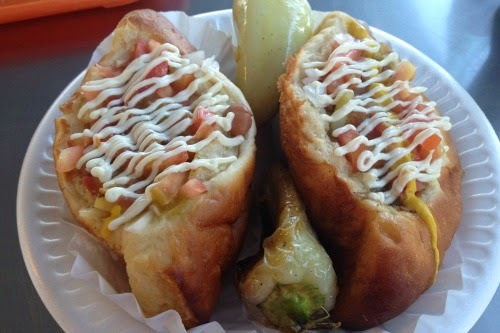 While in town we had to try a famous Sonoran hot dog (as seen on Man vs. Food). It was good, but not great. I don’t understand the hype. The following morning we headed to our first stop of the day: Kartchner Caverns. 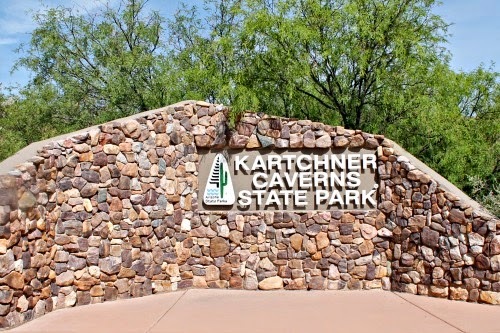 Kartchner Caverns is a “living” cave (living means the cave is still active and formations are still growing). Because the caves are still active, tour groups are limited in size and nothing is allowed in the caverns…which is why I don’t have any personal pictures from inside to show you. 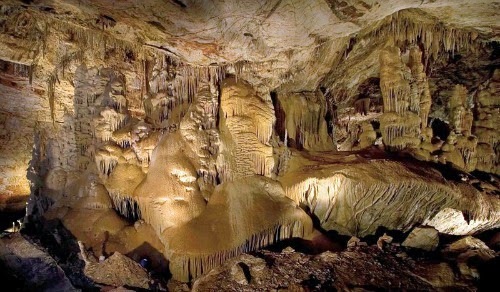 The average temperature inside the caverns is 72 degrees and near 99 percent humidity. The caverns were pretty amazing and I really enjoyed them. 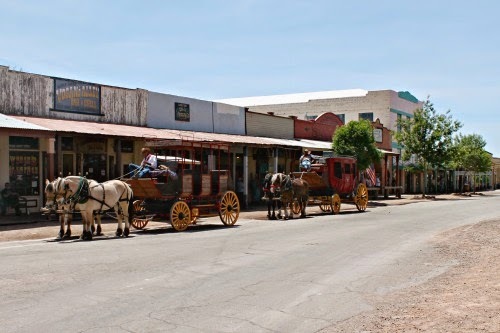 After we finished touring the Caverns, we headed to Tombstone. Founded during the mining boom, silver brought wealth to the town, but lawlessness and violence brought notoriety. 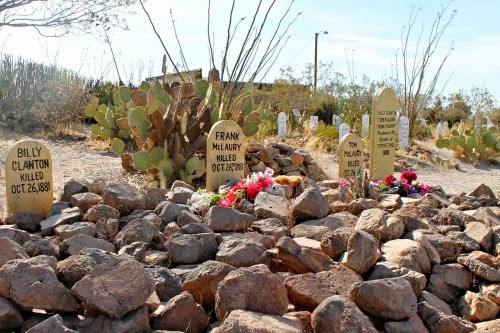 Once the epitome of the Wild West, Tombstone is now mostly a tourist destination. 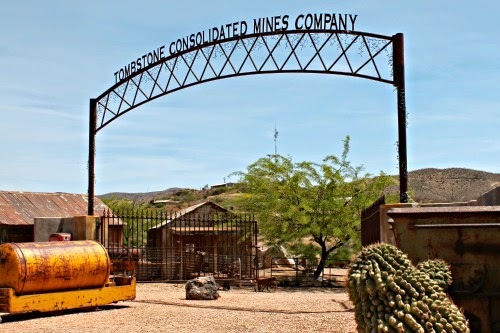 One of the highest-rated attractions in Tombstone is the Goodenough Mine. 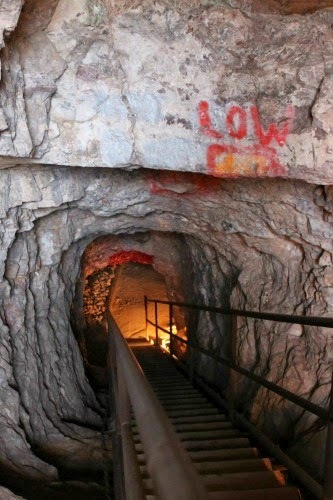 It’s a 45-minute walking tour through the original silver mine. We thought it was awesome! It was our favorite part of our whole trip. 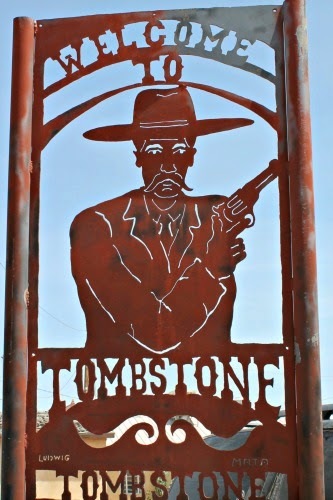 If you ever go to Tombstone, you must take this tour! Someday we’d like to go back and take the longer tour that takes you further into the mine. 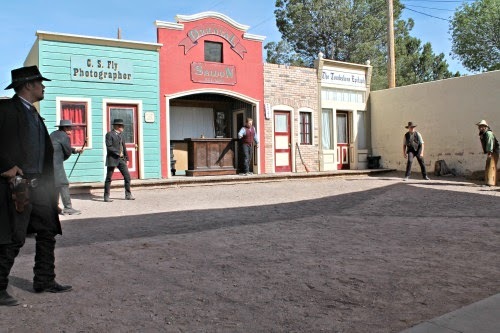 Of course we had to watch a re-enactment of the gunfight at OK Corral while in town. They perform three times a day and it’s $10/person. We also toured the Bird Cage Theatre. 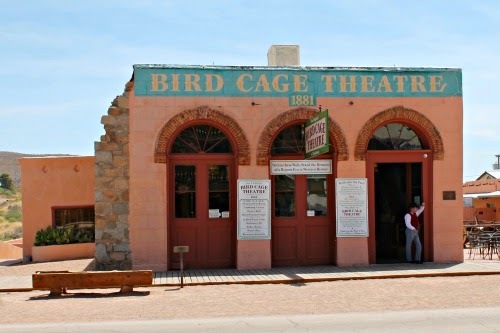 It’s the only building in Tombstone that’s still completely original from the 1880s. It’s also supposed to be haunted and has been featured on all of the TV ghost shows. We didn’t see or hear anything, but I wouldn’t want to be there alone at night. 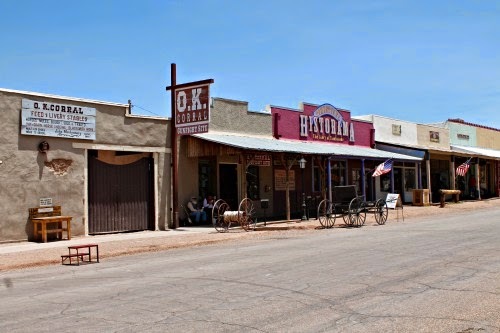 We spent the rest of the day exploring the town: shops, courthouse, and Boothill Graveyard. We had originally planned to spend the night in Tombstone, but ended up driving home Saturday night instead. Although it was a short trip, we had a great time. It was nice to get away, even if only for a couple days. What are your favorite places to visit in your home state? We do get the week between Christmas and New Years' Day off plus a few holidays throughout the year. But yeah, it's a total bummer! This is fun! We travel too as often as we can. In fact this Saturday, we're gonna be visiting one of the parks here in our area we've never been to before - The Garden of the Gods, sounds intriguing right?! Yup, happiness can be found right in our own backyard especially in a country like ours! Love the tour Sam! Wow! That looks like so much fun! It reminds me of that Will Smith movie "Wild, Wild West" I would totally just be roaming around with a swagger, attempting to spit on things, and singing that song. Looks like a blast! !